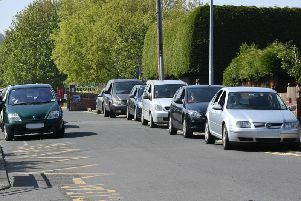 A Fleetwood primary school is on the way up after a new head took over in September, an inspector has noted. The arrival of Jane Barnes at St Wulstan’s and St Edmund’s Primary School has already started to make an impact after a long period of instability at the Poulton Road school. But problems raised previously have still not been fully rectified. Those were the findings after a monitoring inspection took place at the school in December to investigate whether appropriate changes had been made after troubling Ofsted reports in 2015 and 2017. The 2017 Ofsted report had found that improvements were needed across the board, in leadership, quality of teaching, personal development, behaviour and welfare of pupils, outcome for pupils and early years provision. Inspector Paul Tomkow’s visit in December, to assess developments since that report, came three months after the appointment of Mrs Barnes. Mr Tomkow reported to Mrs Barnes: “You have made a positive impact on the school since you took up your post at the beginning of this term. “You have been successful in bringing staff together and sharing your vision and ambition for the school. “The work I saw in pupils’ books shows that they are beginning to benefit from a broader curriculum and make better progress. “However, despite these early signs of improvement, the overall progress pupils make is not good enough and standards remain too low. But Mrs Barnes said such reports did not always tell the full story of how much progress was being made. She said: “A monitoring visit from a HMI only has two possible outcomes - either that enough progress has been made from the last Ofsted or it hasn’t. “As the results from summer 2018 were poor, the HMI could only conclude that enough progress hadn’t been made. “However, he did note the good standard of work in children’s books and the good teaching that was happening during the autumn term.